This week is all about the beginning of Fall and themed festivals. Watonga, Oklahoma is famous for a yearly themed festival that brings in people from all over the state. 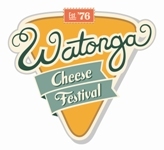 For the 36th year in a row, the Watonga Cheese Festival celebrates all things that can be made from the many variations of a mouse’s favorite food. Besides the cheese art show and tastings, there is also the first “Watonga’s Got Talent” competition and a parade. The General Tommy Franks Museum Roadshow collection of museum artifacts from 24 different countries is also new to the festival this year. If you want some wine with that cheese, there is also a tasting featuring products from Oklahoma wineries for ages 21 and older. The town of Meeker hosts its third annual Meeker Pecan Festival from Thursday, October 11th through Saturday the 13th. A carnival opens Thursday at 6:00 p.m. and continues throughout the weekend. At 5:00 p.m. on Friday, the beer garden opens featuring live entertainment and a big screen TV on Saturday for watching the OU/Texas football game. The Meeker Growth and Development Authority has also planned the Pecan Festival Royalty Contest, a 5k run, a chili cook off, and a pumpkin decorating contest. The Jacobson House Native Art Center in Norman highlights the culture of one of Oklahoma’s few indigenous tribes this weekend during a special Caddo Festival on Friday the 12th and Saturday the 13th. The center’s newest exhibit “Hasi nai: This Is Home” shows the connections between all forms of Caddo art. Activities over the weekend explore Caddo pottery, including the ancient Caddo pottery pitfire method, bow-making, as well as Caddo food, dance, and music. The Jacobson House also has weekly Caddo language classes running through December. The Myriad Botanical Gardens opens its first annual Pumpkinville in the Children’s Garden on Saturday, October 13th. The area full of children’s Halloween and fall activities will be open from 9:00 a.m. to 8:00 p.m. daily through the end of the month. The public is welcome to a screening of “Casper” at 8:00 p.m. on Saturday on the Great Lawn. The National Cowboy & Western Heritage Museum features art from the Cowboy Artists of America and the Traditional Cowboy Arts Association during the 14th annual Cowboy Crossings Exhibition and Sale this Friday and Saturday. The museum also hosts a luncheon and panel discussion of the artisan works, as well as an autograph party. For more events in your area, check out our calendar page.